Wynonna Judd is an American music icon, a five-time GRAMMY winner and New York Times bestselling author. A life-long philanthropist, Wynonna is always using her voice to champion causes she believes in and is a lifelong animal lover. 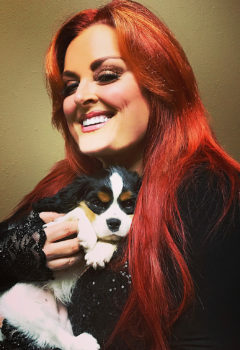 When not on tour, Wynonna can be found hanging out with the many beloved animals on her farm. She has 34 in total — including dogs, cats, horses and buffalo.